Tonight my friend and teammate Megan came over. 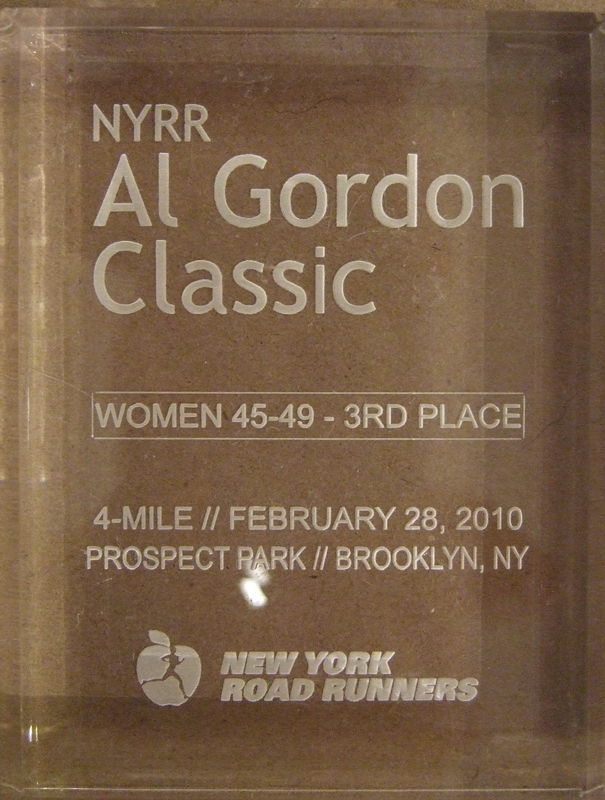 She picked up my 3rd place age group trophy and 2nd place woman’s team metal from New York Road Runners. 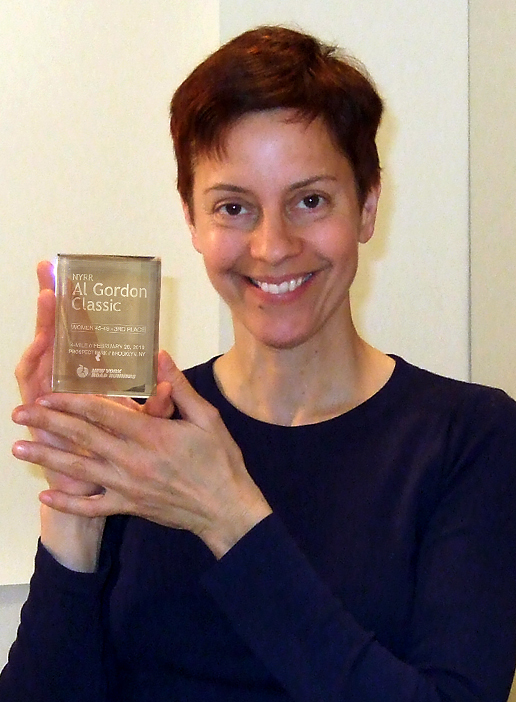 It is always very exciting to get some new hardware, but as I wrote about in an earlier post it was not such a good race so my enthusiasm was a bit damped. I have just five weeks left for Boston. Running is going well, I feel like I am ready to run it already. I rarely feel like that. I am glad I have 5 weeks one of which includes a 22 miler and one a 20 miler, so I think I am going to have a really good marathon. My room is booked and now I just need to find a dog sitter so that I do not need to drive mine 2.5 hours upstate, which is what I usually do. “You have successfully applied for entry to the ING New York City Marathon 2010. Your entry number is 561646” That is the message I received today after finally deciding to run it. I had a terrific 21 miler this week for a total of 53 miles, not too bad. All in all it was a pretty easy week. Six to go!